USA, Menlo Park, California – November 22, 2010 – Some may not recall the ‘first public announcement ( 2000 )’ of the United States Central Intelligence Agency ( CIA ) ‘private business corporation’ having been referred to as the IN-Q-TEL CORPORATION INTERFACE CENTER (aka) QIC, it was however fomerly known as IN-Q-TEL CORPORATION, but ‘that company name’ was even formerly known as IN-Q-IT CORPORATION ( ’not’ to be confused with the INTUIT CORPORATION business of software application programs QuickBooks and TurboTax ), however the CIA ’reversed’ its previous private business name change decisions back to it now being known as the IN-Q-IT CORPORATION ( IN-Q-IT ) today. Clear as mud, right? Some wonder whether ”IN-Q-IT” is even ‘really’ the ’true name’ of this CIA ‘private business’ company today, or whether – within the intelligence community pea ‘n shell game of names – other company subsidiary names may have developed, but for now the IN-Q-IT CORPORATION is ‘currently known’ as being the U.S. Central Intelligence Agency ( CIA ) ‘venture capital’ private business corporation. Important to understand precisely ‘what this CIA private business was supposed to be accomplishing’ versus ‘what the CIA actually did’ with its private business; more recently, however ’what it has become’ and ‘what it is supposed to be accomplishing’ today and for the future. The curious state of affairs sees no one knowing anything more about the CIA QIC ( IN-Q-TEL Interface Center ) private business corporation than a few did when it began, but ‘now’ no one is even required to inform the public with an accounting to justify anything surrounding it. Why? Because it was meant to be a ‘private business’ company, ‘not’ a U.S. government entity, and ‘that’ was ‘how’ the CIA created it to remain – outside anyone’s purview – for a rather ‘complex’ reason. The only method, by which an ‘even more complete’ and ‘even more accurate assessment’ may be formulated for an ’even more thorough understanding’ is quite involved and may at times be highly complex. One must not only review ‘multiple facet areas’ this CIA ‘private business company was originally designed to tackle but more-so what it was supposed to accomplish, and from within ‘both’ of those areas, go on to ’realize precisely’ what ‘were’ and ‘still are’ today’s “problem sets” facing the CIA and just ‘how’ they are juggling it all. Some believe ‘members’ of U.S. Congressional committees’ and subcommittees’ ‘oversight’ had to attend ‘special educational lessons’ designed by the CIA. Did key members of Congress attend what basically amounted to a CIA ‘school’? The CIA Congressional school was believed non-existent by many left to see other less palatable theories develop into the U.S. Congress having simply tired over too numerous CIA complex oversight reviews – and so much so that Congress relagated its own authority over to CIA in what some believed tantamount to the CIA ‘fox’ guarding its own global-sized intelligence ‘chicken coop’. Some may now be enlightened to understand what the United States Central Intelligence Agency ( CIA ) decidely phrased as its own ”radical departure” away-from what it perceived as ‘inefficient economic budget support’ for solving its own ’quantum complexities’ within ’highly specific areas’ – still ‘classified’ in the interest of ‘national security’ – burdensomely producing an exponential growth of new ”problem sets” the CIA would only publicly explain – in the most general of terms – as such ‘experienced from within un-named areas’ of ‘science and technology research and development applications’ that the CIA was decidely viewing to establish ‘limits upon’ and go on to a’simultaneously’ establish as ‘marketable derivatives’ it called ”products” that CIA Office of Science and Technology ( S&T ) oversight could ‘manage distribution of information knowledge’ from but on an ‘in-exchange’ contractual agreement basis with ‘cooperative’ “private sector” ‘individuals’, ‘businesses’, ’institutions’ and ‘organizations’ and thereby ‘establish who held proprietary keys’ to ‘special skill sets’ of what was already protected ’intellectual property rights’ of “existing” technology and CIA global establishment over all ”emerging” ( new upcoming future ) technology proprietary rights by sole marketeering ‘special talents’ and ‘special services’ could be harvested where incredible amounts of ‘profit’ could also be harnessed ( absorbed ) by the CIA. To many of entrepeneurial independent spirit this CIA QIC private business corporation appeared, in-essence, out-of nowhere, like a new Borg structure infringing on private freedoms of what few once experienced of global marketplace past, and to others CIA QIC tenor was too Godfather-like – making people and entities an offer they couldn’t refuse. While the CIA foresaw such rumors and speculation coming, in reality, what ‘was’ the ‘CIA’ doing by opening-up ‘its own private business corporation’? Visionary dreams may be able to see the United States Central Intelligence Agency ( CIA ) ‘shed’ its ’government skin’ to become the ‘world’s largest multi-national corporation’ holding the ‘world’s largest monopoly’ on information technology ( IT ) research and development direction of much of the world’s finest talent resources, i.e. private ‘individuals’, ‘businesses’, ‘institutions’ and ‘organizations’ independently operating outside U.S. Congress ‘oversight, budget justification and related constraints’. Such clever restructuring in-place, CIA would cease to exist as the public knows it today, technically – by legal definition – becoming a wholly-owned ’non-profit organization’ – no longer requiring U.S. Department of the Treasury tax dollar funding. Set free, a new type of CIA would exist with ‘self-determined financing’ and stock market trading profits derived from a host of private sector corporate ‘mergers and acquisitions’ ( M&A ). While surface dreams of such visionaries might at-first appear ingenious ‘how’ was ‘all’ this ‘actually assembled’? Before 1999, it took the CIA Office of Legal Counsel less than 1-year to research various United States laws to locate legacy technicality provisions that the U. S. Congress approved allowing the CIA to exercise its own ”radical departure” plan. By 2000, ’reality’ saw the fetal stages of this CIA private bussiness venture plan developing, leaving the public without hearing anymore further about its progress. Some believed an ‘initial public offering’ ( IPO ) paying dividends to private individual investors and corporate trading of shares of ‘stock’ in what could have been misconstrued as potentially being the world’s largest ‘insider trading scheme’ headache of the United States Securities and Exchange Commission ( SEC ) whose predictives could only imagine manage the envelopment of multiple new technology area companies trading on ’stock exchange’ floors that could potentially carry forward ‘mutual profit secrets’ paying more funds than anticipated into the CIA private business plan – a “radical departure” away from what otherwise had long been understood as the status quo of world trading – where embarrassing implications might turn’terrorist fund reduction measures’ into ‘profits derived from CIA led secret private business developments in high technology products’. Could such a “radical departure” plan backfire or morphotherwise ’unsophisticated terrorists’ – utilizing improvised munition missions – into a new more powerful community of ’uncooperative competitive business terrorists’? Perhaps. Implications of a CIA private business group of subsidiary businesses trading stock on ‘open stock market exchanges’ around the world could create an entirely ’new form of intelligence blowback’ of staggering global socio-economic business proportions for future generations. Today, no overall clear pictures exist on what still remains cloaked in secrets – albeit ’government’ or ‘private’ – where outside both domains this CIA private business enterprise continues growing. But, in which directions? The CIA private business futures would depend on successful simultaneous utilization of exercising better economic sense to its maximum potential immediately alongside highly specific advanced technological enhancements the United States ’intelligence community’ would be grown under a new ‘broad term secrecy’ commonly known but hidden within what the CIA termed only as ”information technology” ( IT ) that would necessarily require CIA controlled ’targeting’, ‘shaping’ and ‘acquisition’ of a plethora of private business sector information technology ( IT ) application research and development. Although CIA controlled ’special technology’ research and development ( R&D ) was on ‘applications’ that later becale known as ” Commercial Off The Shelf ” ( C.O.T.S. / COTS ) ‘products’ that were in-essence – during early stage informational development – the cruxt of what the CIA wanted presented on its ‘table’ whereupon the CIA would legitimatize and manage ‘mass information exchanges’ the CIA would ’trade’ for ‘other valuable considerations’ but to only a select few ‘private companies’ ( e.g. LOCKHEED, LUCENT, PHILIPS, AT&T, et al. ) that would in-return be ‘capable of offering’ through only ’United States government qualified’ contractual agreement exchanges of whatever the CIA deemed these companies ’could place of further interest’ or ’further the duration of continuing to provide’ what these select private ‘individuals’, ‘companies’, ‘institutions’ and ‘organizations’ were ‘already providing under U.S. government contract agreement harvests’. Secret-sensitive ‘products’, that were in all actuality ‘technological breakthroughs’ were to be traded between CIA selected and controlled business stock holdings, and the CIA IN-Q-TEL INTERFACE CENTER ( QIC ) would privately and thereby secretly manipulate all technology funds derived from what the CIA QIC publicly referred to as those being its ‘partners’ and ‘other vendors’ that would remain ’outside the purview U. S. Congress government budget oversight’ where all private companies remain to enjoy unfettered privledges of privacy. By utilizing U.S. Department of the Treasury government tax funds – for U.S. government contract agreement funding to ‘private business partners’ – the United States Federal Reserve System follows in CIA footpath lock-step by ’mirroring’ private bank wire transfer monies directed and then redirected through a long chain series of foreign corporation named offshore bank accounts secretly routed back into the U.S. Central Intelligence Agency ( CIA ) IN-Q-IT CORPORATION (aka) QIC private business enterprise handling ‘venture capital’ where new project funding amounts may be decidely broken down into smaller amounts or pooled into much larger amounts for dispersals to clandestine other secret-sensitive intelligence programs, projects and/or operations that gain the strength to easily remain ‘outside U.S. Congress intelligence oversight board committees and subcommittee scrutinization. Directorate Central Intelligence ( DCI ) ochestral management arrangements within its IN-Q-IT INTERFACE CENTER ( QIC ) realizes from foreign historical prospectives that when a private business exercises ‘en masse privatized mind teams’ to understands today’s falabilities in-keeping with human frailties encountering CIA inherent procedural compartmentalization of secrets rule ( no “talking around” ) requiring those of such outside each task to be unable to quickly assemble an ‘overall picture’ of what overall CIA plans consist of – at least that’s how it’s supposed to work but rarely does – so, while that alone ( in and of itself ), became a “problem set” to solve that drastic measures needed taking. Hence, the CIA “radical departure” plan has another design serving to counteract intelligence information leaks. Ingenious, is a very small word to describe even one ( 1 ) facet of this CIA private business plan where the public has its limited understanding confusingly ’shifted from what it perceives to be government secrets’ moved rapidly back and forth between ‘private sector secrets’ in what only but a few perceive to be a ‘new wave intelligence form’ or ‘combinatoric intelligence structuring’ producing a shield ( shell ) to protect even more secrets actually beneath what has become a new globally flexible CIA layered support group strengthening. The report ( below ) shows ‘whom’ were initially placed in ‘experienced authoritative positions’ and shows ’whom’ were chosen as ’senior level executive advisors’, all selectively chosen by the CIA pulling them from ‘key critical private businesses’ to ‘guide’ the private U.S. Central Intelligence Agency business venture. Such should really come as no surprise, at least to those understanding mechanics of international business, trading and finance where all domestic and foreign bank account transactions are mirrored under oversight by the United States Federal Reserve System ( FED ) and U.S. Securities And Exchange Commission ( SEC ), the latter two ( 2 ) of which are ‘overseen’ by the U.S. Central Intelligence Agency ( CIA ). This information was dervived from, outside ’market sensitive‘ ( stock market trading ) material, a Critical Sensitive National Security report [ August 13, 2001 ] of the U.S. Congress, House of Representatives Subcommittee on Oversight and Investigations ( Subcommittee ) of the Committee on Financial Services relying on information supplied by, amongst others, the SEC Divisions of Enforcement and Corporation Finance, Offices of the Chief Accountant, General Counsel, Compliance, Inspections and Examinations, Office of the Comptroller, Office of Economic Analysis, the U.S. Central Intelligence Agency ( CIA ). But, is all this ‘really going on’? See full report ( below ). USA, California, Menlo Park – The first ‘publicly open contract’ between a so-called ‘private firm’ partnering with the U.S. Central Intelligence Agency (CIA) where the private corporation whose CIA members conceived and funded it is known as the In-Q-Tel Corporation was formerly known as the In-Q-It Corporation. In-Q-Tel is actually one of many CIA private-sector business partners, which is not all that uncommon a partnership, like what the CIA has had for decades with the MITRE CORPORATION (USA), BELL LABORATORIES ( Canada ), and TRW Power Thrusting Division ( Hawthorne, California, USA ), remote control center for CIA maneuvering Tracking Data and Relay Satellites ( TDRS ) and the Killer HUGHES ( KH-11 ) anti-satellite satellite ( space born destructive laser platform ) series. The publicly revealed partnership between the CIA and IN-Q-TEL CORPORATION has sent another tsunami warning to Japan at its NIPPON ELECTRIC CORPORATION ( NEC ) high-technology monopoly, that has been right on the heels of advanced high-technology advancements seen within the RESEARCH TRIANGLE PARK ( North Carolina, USA ). There is some doubt and controversy though between what the CIA says In-Q-Tel is, verses what Q-In-Tel says it is. IN-Q-TEL states it has had ’profitability in-mind for quite some time’. CIA IN-Q-TEL INTERFACE CENTER ( QIC ) players are stacked-up on a list that reads like something out-of a Robert Ludlum novel – filled with international intrigue high-tech corporatarchy. – William Perry, former U.S. Department Of Defense Secretary and currently Berberian Professor at Leiland Stanford University. In-Q-Tel is a new non-profit corporation funded by the CIA to seek Information Technology ( IT ) solutions to the Agency’s most critical needs. A unique venture, was formed to enable the Agency ( CIA ) to have access to ‘emerging and developing information technology’ in a timely manner. QIC ( IN-Q-TEL INTERFACE CENTER ) is the ‘interface center’ linking the IN-Q-TEL CORPORATION to the Agency ( CIA ). QIC develops a problem set for In-Q-Tel, partners with In-Q-Tel in the solution acceptance process and manages the Agency’s relationship with In-Q-Tel. QIC plans and evaluates the partnership program, protects CIA security and CIA counter-intelligence interests and communicates the QIC / In-Q-Tel venture to the World. The CIA, working in partnership with IN-Q-TEL, created the Agency’s ( CIA ) new found organization QIC. QIC goals now, are to be the leading source for commercial, high impact IT solutions for the Agency ( CIA ), and will be herald as the single most important contributor to the Intelligence Community by the year 2001. QIC will create and use the full range of corporate processes needed to manage QIC (aka) the ” CIA-In-Q-Tel Partnership ” by delivering CIA-accepted IT solutions. Eventually, IN-Q-TEL will take on a life funded by the high-technology consumer public. QIC ( IN-Q-TEL Interface Center ) however, works comprehensively and collaboratively with Agency ( CIA ) IT specialists, customers, IN-Q-TEL experts, Agency ( CIA ) managers, the Chief Information Officer, the Chief Technology Officer, Chief Financial Officer, Agency directorates, and Executive Board to develop an annual coordinated and approved critical ‘problem set’ for IN-Q-TEL. QIC, leads Agency participation in the partnership’s solution transfer planning, including resources, technology demonstration, and prototype testing and evaluation. At the same time, QIC works with In-Q-Tel to assure that it addresses issues regarding the transfer of IT solutions into the Agency. QIC also works with Agency customers and their managers to create an environment conducive to the implementation and acceptance of partnership solutions and follow-on initiative. On September 29, 1999 the Central Intelligence Agency (CIA) was treated to something different. In many of the nation’s leading newspapers and television news programs a story line had appeared that complimented the Agency for its creativity and openness. With that statement the Agency ( CIA ) launched a new era in ‘how it obtains cutting-edge technologies’. In early January 2000, the name of the corporation ( IN-Q-IT CORPORATION ) was changed to IN-Q-TEL CORPORATION. The ‘origins of the concept’ that has become IN-Q-TEL are traceable to Dr. Ruth David, former CIA Deputy Director for Science and Technology. She and CIA Science And Technology Deputy Director, Joanne Isham, were the first senior Agency ( CIA ) officials to understand that the information revolution required the CIA to forge ‘new partnerships’ with the ‘private sector’ and ‘design a proposal for radical change’. The timing of the proposal was fortuitous. CIA Director of Central Intelligence ( DCI ), Mr. George Tenet, had just launched his own Strategic Direction Initiative ( SDI) – also known as “Star Wars“ – included technology as one of its areas for review. The study made a direct link between Agency ( CIA ) ‘future technology investments’ and ‘improving’ its ‘information gathering’ and ‘analysis capabilities’. By the summer of 1998, the Agency ( CIA ) had assembled a few senior Agency ( CIA ) ‘staff employees with an entrepreneurial bent’ and ‘empowered them’ to take the Dr. Ruth David original concept and flesh it out. Aided by a ‘consulting group’ and a ‘law firm’, they ( CIA ) devoted the next 4-months to making the rounds in Silicon Valley ( California ) – and elsewhere – putting the concept through the wringer. Much of the ‘time was spent listening’. Many they met with were often critical of one aspect or another of the concept. But, whether they were ‘venture capitalists’, Chief Executive Officers ( CEO ), Chief Technical Officers ( CTO ) or men of Congress and staffers, all eagerly immersed themselves in spirited debates that enriched the Agency ( CIA ) team and ‘drove the concept in new directions’. By the end of 1998, the Agency CIA ) team reached a point at which the concept seemed about right. Though’ it had changed considerably’ from that which had been proposed initially by Dr. Ruth David, it remained true to its core principles. It was time to hand the ‘product’ of the Agency ( CIA ) work over to someone in the ‘private sector’ with the ‘experience’ and passion necessary ‘to start the Corporation’. To the delight of the DCI and Agency ( CIA ) team, Norman Augustine, a former CEO of LOCKHEED-MARTIN and 4-time recipient of the Department of Defense highest civilian award, the Distinguished Service Medal, accepted the challenge. By February 1999, the Corporation was established as a legal entity, and in March [ 1999 ] it [ IN-Q-TEL CORPORATION ] received its first [ 1st ] contract from the Agency ( CIA ). In-Q-Tel was in business, charged with ‘accessing information technology ( IT ) expertise and technology wherever it existed’ and brought it to bear on the’ information management’ challenges facing the Agency ( CIA ). As an information based agency, the CIA must be at the cutting edge of information technology in order to maintain its competitive edge and provide its customers with intelligence that is both timely and relevant. Many times the Agency and the federal government have been the catalysts for technological innovations. Examples of Agency ( CIA ) inspired breakthroughs, include the LOCKHEED AEROSPACE aircraft designed U-2 ( Dragon Lady ) and SR-71 ( Black Bird )reconnaissance aircraft and the CORONA ‘surveillance’ satellites, while the ‘parent of the Internet’ [ Advanced Research Projects Agency (aka) ARPA.NET ] was led forward with the Defense Advanced Research Projects Agency ( DARPA ). By the 1990s, however – especially with the advent of the World Wide Web – the ‘commercial market’ was setting the pace in IT innovation. And, as is the nature of a market-based economy, the ‘flow of capital’ and ‘talent’ has irresistibly ‘moved to the commercial sector’ where the prospect of huge profits from ‘initial public offerings‘ ( IPO ) and ‘equity-based compensation‘ has become ‘the norm’. In contrast to the remarkable transformations taking place in Silicon Valley ( California ) and elsewhere, the Agency ( CIA ) – like many large Cold War era ‘private sector corporations’ – felt itself being ‘left behind’. It ( CIA ) was not connected to the creative forces that underpin the digital economy. And, of equal importance, many in Silicon Valley ( California ) knew little about the Agency ( CIA ) IT ( information technology ) needs. The opportunities and challenges posed by the information revolution to the Agency ( CIA ) core mission areas of ‘clandestine collection’ and ‘all-source analysis’ were growing daily. Moreover, the [ CIA ] challenges are not merely from foreign countries, but also ‘transnational threats’. Faced with these realities [ by 1997 ], the leadership of the CIA made a critical and strategic decision in early 1998. The Agency’s leadership recognized that the CIA did not, and could not, compete for IT ( information technology ) innovation and talent with the same speed and agility that those in the ‘commercial marketplace’, whose businesses are driven by “Internet time” and ‘profit’, could. The CIA mission ‘was’ intelligence collection and analysis, not IT innovation. The leadership also understood that, in order to extend its reach and access a broad network of IT innovators, the Agency had to step outside of itself and appear not just as a buyer of IT but also as a seller. The CIA had to offer Silicon Valley ( County of Santa Clara, California ) something of value, a business model that the Valley [ Silicon Valley ] understood; a model that ‘provides’ – for those who joined hands ( became partner affiliates ) with IN-Q-TEL – the ‘opportunity to commercialize’ their ‘innovations’. In addition, IN-Q-TEL ‘partner companies’ would also ‘gain another valuable asset’, access to very difficult CIA ‘problem sets’ that could become ‘market drivers’. Once the Agency ( CIA ) leadership crossed these critical decision points, the path leading to IN-Q-TEL formation was clear. In-Q-Tel founder, Norm Augustine, established it as an independent non-profit corporation. Its Board of Trustees, which now has 10 members, functions as any other board, initially guiding and overseeing the Corporation’s startup activities and setting its strategic direction and policies. The CEO, who was ‘recruited’ by the Board [ Board of Trustees for IN-Q-TEL CORPORATION ], reports to them [ Board of Trustees for IN-Q-TEL CORPORATION ], and ‘manages’ IN-Q-TEL. 2. Menlo Park, California [ Silicon Valley ]. It [ IN-Q-TEL ] employs a ‘small professional staff’ and a ‘smaller group’ of ‘business consultants’ and ‘technology consultants’. In-Q-Tel’s mission is to foster the development of new and ‘emerging information technologies’ and pursue ‘research and development’ ( R&D ) that produce solutions to some of the most difficult IT [ information technology ] problems facing the CIA. To accomplish this, the Corporation [ IN-Q-TEL ] will network extensively with those in ‘industry’, the ‘venture capital’ community, academia, and any ‘others’ who are at the ‘forefront of IT [ information technology ] innovation’. Through the business relationships that it establishes, In-Q-Tel will create environments for collaboration, product demonstration, prototyping, and evaluation. From these activities will flow the IT solutions that the Agency ( CIA ) seeks and, ‘most importantly’, the ‘commercial opportunities’ for ‘product development’ by its ‘partners’. – Over time, self-sustaining, to reduce its reliance on CIA funding. At its core, In-Q-Tel is designed to operate in the market place on an equal footing with its commercial peers and with the speed and agility that the IT world demands. As an example, it [ IN-Q-TEL ] can ‘effect the full range of business transactions‘ common to the industry – it is ‘venture [ venture capital ] enabled’, can ‘establish joint ventures‘, ‘fund grants [ grant funding ]‘, sponsor open competitions, ‘award sole source contracts‘, etc. And, ‘because of the many degrees of freedom granted to it‘ [ IN-Q-TEL ] by the Agency ( CIA ), IN-Q-TEL ‘does not require Agency ( CIA ) approval for business deals it negotiates‘. As such, In-Q-Tel represents a different approach to government R&D. It [ IN-Q-TEL ] ‘moves away from the more traditional government project’ office model in which the program is managed by the government. Instead, the Agency ( CIA ) has invested much of the decision-making in the Corporation [ IN-Q-TEL ]. Hence, In-Q-Tel will be judged on the outcomes produced, i.e. the solutions generated, and not by the many decisions it makes along the way. In the first [ 1st ] instance, it made the decision that In-Q-Tel would initially conduct only unclassified IT work for the Agency ( CIA ). Second [ 2nd ], to attract the interests of the private sector, it recognized that IN-Q-TEL would ‘principally invest in areas’ where there was both an Agency ( CIA ) need and ‘private sector interest’. Whereas in the past, much of the commercial computing world did not focus on those technologies useful to the CIA, the intersection zone between intelligence and private sector IT needs has grown tremendously in recent years. 1. Data warehousing and data mining; 2. Knowledge management; 3. Profiling search agents [ Search Engines and User search requests ]; 4. Geographic information systems [ Satellite Communication Information Systems ]; 5. Imagery analysis and pattern recognition; 6. Statistical data analysis tools; 7. Language translation; 8. Targeted information systems; 9. Mobile computing; and, 10. Secure computing. Information Security or INFOSEC, a critical enabling technology for all intelligence information systems, is now a mainstream area of research and innovation in the commercial world, due in no small part to the exponential growth in Internet e-commerce. 1. Strong encryption; 2. Secure community of interests; 3. Authentication and access control; 4. Auditing and reporting; 5. Data integrity; 6. Digital signatures; 7. Centralized security administration; 8. Remote users or traveling users; and, 9. Unitary log-in. It is, no doubt, the case that the commercial investments flowing into information security outpace the spending made by the Intelligence Community. Thus, In-Q-Tel will be poised to ‘leverage the investments of others to the benefit of the Agency ( CIA )‘. Having bounded In-Q-Tel’s IT space with these 2 criteria – ‘unclassified work’ with ‘commercial potential’ – the Agency defined a set of strategic problem areas for the Corporation. 4. Knowledge Generation: Geospatial data fusion and multimedia data fusion or integration and, computer forensics. It will no doubt raise questions with some who will believe that it or the Agency ( CIA ) have other motives. It is, therefore, important to highlight ‘what In-Q-Tel is not’ and what it [ IN-Q-TEL ] will not do. First, it is not a front company for the Agency ( CIA ) to conduct any activities other than those spelled out in its Articles of Incorporation and its Charter Agreement. As a non-profit – 501(c)3 – corporation, it will operate in full compliance with the Internal Revenue Service ( IRS ) regulations and, as with all similar non-profits, its IRS filing will be a matter public record. In-Q-Tel is ‘openly affiliated with the Agency ( CIA )’, as was made obvious to the world during its press rollout on September 29, 1999. Of equal importance, it will not initiate work in areas that lead to solutions that are put into so-called “black boxes” – that is, innovations that the government subsequently classifies. To do so would undercut In-Q-Tel credibility with its business partners to the detriment of the Agency. Finally, IN-Q-TEL ‘is a solutions company‘, ‘not a product company‘. Working through its business partners, it will demonstrate solutions to Agency problems but will not generate products for use by Agency components. In-Q-Tel ‘inspired products‘ will be ‘developed through separate contractual arrangements‘ involving Agency ( CIA ) ‘components‘ and ‘other vendors‘. Central to the In-Q-Tel business model are speed, agility, market positioning, and leveraging. These attributes, taken together, have helped shape the evolving structure of the Corporation. It is one that intends to emphasize the “virtual” nature of the Corporation while minimizing “brick and mortar” costs, i.e. it will operate by facilitating data sharing, and decisionmaking via seamless communications using a private network with broadband connectivity to the Agency and its partners, while limiting direct infrastructure investments in laboratories and related facilities by leveraging the facilities of others. To facilitate this intent, the In-Q-Tel Board and CEO decided to hire a small staff composed of people with strong technical and business skills. At present, the Corporation has about ten ( 10 ) staff employees and, it is expected that, by the end of the year 2000, the total will number about thirty ( 30 ). The CEO is currently designing In-Q-Tel management structure, but the parameters he has set for it indicate that it will be very flat and aligned for rapid decision-making. One of the great leaps of faith the Agency took in this venture was to recognize, early on, that private sector businessmen were better equipped than it was to design the Corporation and create its work program. The Agency’s critical role was to develop the initial concept, help form the best Board possible, give IN-Q-TEL a challenging problem set, and then design a ‘contractual vehicle‘ that ‘gave‘ the [ CIA ] Corporation [ QIC ] the ‘necessary degrees of freedom to design itself and operate in the market place‘. All of this was accomplished in less than 1-year, to include the design of In-Q-Tel’s initial work program. In-Q-Tel’s current work program is built on a process of discrete, yet overlapping, elements – IT roadmapping, IT baselining, and R&D projects. The underlying philosophy now driving the In-Q-Tel program is to gain an understanding of the many players occupying In-Q-Tel’s IT space – by roadmap analysis – and, concurrently, test and validate the performance and utility of existing products and technologies – by baseline testing – against current Agency needs. If the test results are successful, the Agency ( CIA ) has the ‘option’ of quickly ‘purchasing’ the ‘products’ directly ‘from the vendor’. However, in those ‘cases where there are no existing products or technologies‘, or where a gap exists between the baseline test results and the Agency ( CIA ) needs, IN-Q-TEL will launch R&D projects. In this way, the Agency ( CIA ) obtains near-term solutions through the evaluation of those products considered “best-in-class” and can target its R&D projects more precisely – that-is, to where ‘commercial‘ or ‘other government [ contract ] IT investments [ $ ] are small‘ or nonexistent. With its first [ 1st ] year budget of about $28,000,000 million, In-Q-Tel has focused its initial efforts on the IT roadmap and baseline elements of the program. The roadmap project seeks, first, to ‘identify those in industry, government, and academia who occupy the same IT space as In-Q-Tel’ and, secondarily, to ‘spot existing technologies of potential interest’. The results will also help In-Q-Tel leverage the technical advances made by others, assess the overall direction and pace of research, avoid duplicating work done by other government entities, and highlight [ identify and target ] potential business partners. The roadmap will be updated and refined by In-Q-Tel throughout the life of its work program. These twenty (20) are executing the baseline-testing element of the In-Q-Tel work program. They were selected by an independent review panel of national IT experts convened by In-Q-Tel to evaluate multiple proposals. Each of the two ( 2 ) teams is working on one ( 1 ) or more ‘incubator concepts’ derived by In-Q-Tel from the Agency ( CIA ) ‘problem set‘ enumerated above. The incubator teams will operate for over a [ 1 ] year. As the In-Q-Tel work program grows, it is possible that other baseline incubator teams will be established. The R&D part of the program, which In-Q-Tel manages, will soon become the core of its activities, with a growing percentage of its funds directed towards a portfolio of research projects. In-Q-Tel is formulating its research thrusts based on the information and test results gathered under the roadmap and baseline work, aided by extensive interactions with the private sector and the Agency. The design of the research projects will be set by In-Q-Tel and will vary to meet the mutual interests of the Agency ( CIA ), In-Q-Tel, and its prospective business partners. As mentioned earlier, In-Q-Tel will ‘draw from a broad range of R&D competition‘ models to attract the business partners it seeks. In some cases, it may assemble teams of companies that each has a necessary part, but not the whole, of the solution In-Q-Tel seeks. In ‘other projects’ IN-Q-TEL might be a co-investor in a fledgling company with another business partner such as a venture capital firm. Or, it could take a more traditional route, using a request for proposal. In essence, In-Q-Tel will use whatever model most efficiently and effectively meets the needs of all parties to a transaction, with a constant eye towards leveraging its resources and solving the Agency’s IT needs. Common to most or all of the R&D agreements that In-Q-Tel intends to use will be the subject of intellectual property (IP), or more precisely said, the ownership of IP and the allocation of IP generated revenues. In the area of IT R&D, a deal is typically not struck until all of the parties’ IP rights are clearly established. In-Q-Tel’s acceptance within the IT market place depends heavily on its ability to negotiate industry standard IP terms. Recognizing this, the Agency ( CIA ) agreement with In-Q-Tel allows it and/or its partners to retain title to the innovations created and freely negotiate the allocation of IP derived revenues. The only major stipulation is that the Agency ( CIA ) retain traditional “government purpose rights” to the ‘innovations‘. Before the partnership between In-Q-Tel and the Agency became a reality, the Agency ( CIA ) had to develop a new contract vehicle that granted the Corporation [ QIC ] the degrees of freedom it needed to operate in the market place. Most Agency ( CIA ) contracts, including those in R&D, are based on the Federal Acquisition Regulations ( FAR ), however FAR is often viewed by industry as overly burdensome and inflexible. And, it has been the U.S. Department of Defense ( DoD ) experience that smaller companies often will not contract with the government because of the extra costs they would incur to be FAR compliant. Because the Agency ( CIA ) wanted to encourage such companies to work with In-Q-Tel, it took a different approach and designed a non-FAR agreement with the IN-Q-TEL CORPORATION. It [ CIA ] also adopted elements from the old internet Godfather, i.e. Advanced Research Projects Agency or ARPA and its model based on “Other Transactions ( OT )” authority granted to the DoD [ U.S. Department of Defense ] by Congress [ U.S. Congress ]. OT [ Other Transaction ] agreements ‘permit authorized government agencies’ [ e.g. CIA ] to design R&D agreements outside the FAR. The hoped for result is to spur greater flexibility and innovation for the government. In addition, it permits well-managed businesses, large and small, to perform R&D for the government, using their existing business practices and procedures. Using an ARPA model OT agreement as a guide, the Agency ( CIA ) designed a 5-year Charter Agreement that describes the broad framework for its relationship with IN-Q-TEL, sets forth general policies, and establishes the terms and conditions that will apply to future contracts. In addition, a short-term funding contract was negotiated that includes In-Q-Tel’s “Description of Work”. Together these documents define the metes and bounds of the Agency ( CIA ) relationship with In-Q-Tel and permit IN-Q-TEL to negotiate agreements with its partners, absent [ without ] most government flow down requirements. The In-Q-Tel venture is one that has challenged the Agency to think creatively and quickly to address the fundamental changes that the information revolution is having on its core business. It responded by setting aside traditional policies and practices in many areas and established a new partnership with industry and academia, based on shared interest and mutual benefit. Perhaps the most important of the three is the first, managing the relationship without stifling In-Q-Tel’s competitive edge. The imperatives that led to In-Q-Tel have many parallels in industry. In fact, the IT sector is replete with examples of a large corporation seeking to improve its competitiveness by either purchasing a small start-up company or forming a subsidiary. The ‘parent corporation‘ [ ? ] sees in ‘its offspring‘ traits that it no longer possesses – speed, agility, and expertise. But, for these traits to be realized, ‘the start-up‘ must operate unencumbered from the ‘parent corporation‘ [ ? ], whose natural tendency is to rein in and control it. Similarly, the Agency ( CIA ) will have to restrain its natural inclination to micromanage IN-Q-TEL and, instead, allow the Corporation [ QIC ] the freedom to prosper. It must have continuous insight into In-Q-Tel’s activities, but must understand that In-Q-Tel is responsible for its own operations, including the design and management of the work program. Acceptance by Agency ( CIA ) components of In-Q-Tel inspired solutions will be the most important measure of success in this venture. It is also likely to be the hardest. While there is every expectation that In-Q-Tel will become commercially successful and seed innovative solutions, if they are not accepted and used by Agency line managers, then the overall venture will be judged a failure. Although In-Q-Tel has a critical role in the solution transfer process, the burden rests with the Agency, since the challenges are as much managerial and cultural as they are technical. The Agency ( CIA ) Chief Information Officer ( CIO ), directorate heads, and component directors will all have to work closely with IN-Q-TEL to overcome bureaucratic inertia and identify eager recipients of the innovations that the Corporation develops. Agency ( CIA ) “product champions” for each IN-Q-TEL project should be identified early and should participate fully in its formulation, testing, and evaluation. Incentives should be considered for those Agency ( CIA ) components that commit to projects with unique risks or that require extensive personnel commitments. These and other strategies will be employed to ensure that the return on the Agency’s investment in In-Q-Tel translates into measurable improvements in its mission performance. The open affiliation between the CIA and In-Q-Tel is yet another unique aspect and challenge for this venture. Although the Corporation [ QIC ]will be doing only unclassified work for the Agency ( CIA ), the nature of its IT research and its association with a US intelligence agency will undoubtedly attract the interests of foreign persons, some with questionable motives. The obvious security ramifications of this scenario were well considered in the decisionmaking process that led to In-Q-Tel’s formation. It was ultimately decided that the risks are manageable and, in many ways, are similar to those faced by any high-tech company trying to protect its IP and trade secrets. IN-Q-TEL and the Agency ( CIA ) will be working closely to ensure that the Corporation [ QIC ] operates with a high degree of security awareness and support. Once it has established a record of accomplishment in these two areas, the high caliber IT talent the Agency hopes to reach through In-Q-Tel will be drawn to the Corporation. Those of us at the Agency who helped to create In-Q-Tel are endlessly optimistic about its prospects for success. The early indicators are all positive. Among them is the caliber of the people who stand behind and lead the Corporation and the initial reaction from industry and the trade press to its formation. IN-Q-TEL Board of Trustees is at least the equal of any large corporation’s board. They are committed to the Agency ( CIA ) mission, the new R&D model that IN-Q-TEL represents, and have invested much of their time to its formation. The Agency and the nation are in their debt. The Board [ IN-Q-TEL Board of Trustees ] also recruited an outstanding CEO who brings with him the ‘experiences’ and ‘contacts’ of his Silicon Valley [ California ] base and an established reputation for starting and growing new IT companies. The favorable press coverage of In-Q-Tel combined with the industry “buzz” engendered by the Board and CEO have brought a flood of inquiries by those interested in doing business with the Corporation. And, most importantly, its work program is already beginning to achieve results that the Agency ( CIA ) can use and that its ( CIA ) partners can commercialize. Judging by the record to date, the road ahead appears promising. But, In-Q-Tel’s fate also rests in part on those institutions charged with oversight of the Agency and its budget. Congress has supported the Agency as it launched this new venture. The U.S. Congress “seeded the venture with start-up funding” when it was still in its conceptual phase, but asked hard questions of the Agency throughout the design and formation of In-Q-Tel. Members understood that starting an enterprise such as IN-Q-TEL is ‘not risk free‘. As with all R&D efforts in government and industry, there will be some home run successes but also some failures. That is the price the Agency must be prepared to pay if it wants to stay on the leading edge of the IT revolution. With In-Q-Tel’s help plus the continued support of Congress [ U.S. Congress ] and Office of Management and Budget ( OMB ), as well as from the traditional Agency ( CIA ) ‘contractor community‘ and ‘others‘, an “e-CIA” of the next century [ 21st Century ] will evolve quickly, to the benefit of the President and the national security community. For the next one ( 1 ) or two ( 2 ) years [ 1999 – 2000 ], IN-Q-TEL will accept work ‘only from the CIA‘. All solutions that it provides to the CIA will be made available to the entire Intelligence Community. Codified in a 5-year Charter Agreement with the CIA and a 1-year funding contract that is renewable annually. As stipulated in the Charter Agreement, “…the Federal Government shall have a nonexclusive, nontransferable, irrevocable, paid-up license to practice or have practiced for or on behalf of the United States the subject invention throughout the world for Government purposes”. 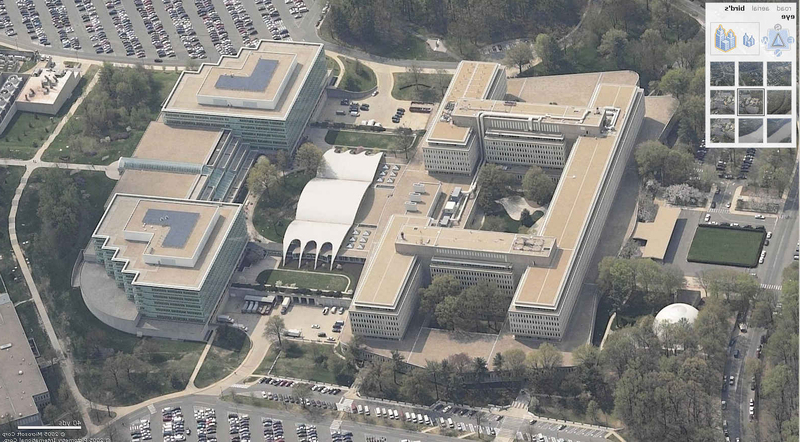 The Agency ( CIA ) component that has day-to-day responsibility for guiding the CIA relationship with IN-Q-TEL, including the ‘design and implementation of the contract’ and the ‘problem set’, is the IN-Q-TEL INTERFACE CENTER ( QIC ) which resides inside the CIA Directorate of Science and Technology. – Physical Technologies; – Biological Technologies; – Security; and, – Software Infrastructure. Similar to many ‘corporate strategic venture’ firms, In-Q-Tel seeks to ‘optimize potential returns’ for our clients — the CIA and the broader Intelligence Community— by investing in companies of strategic interest. In-Q-Tel engages ‘start-ups’, ‘emerging’ and ‘established’ companies, universities and research labs. In-Q-Tel structure attractive win-win relationships through ‘equity investments’, as well ‘strategic product development funding’, and ‘innovative intellectual property arrangements’ and ‘government business development guidance’. In-Q-Tel ‘portfolio companies’ value a ‘strategic relationship’ with a ‘proactive partner’. Companies, that work through In-Q-Tel due diligence process, know their technologies have the potential to address the needs of one of the most discriminating enterprise customers in the world. In-Q-Tel takes a hands-on approach, working closely with our ‘portfolio companies’ to help ‘drive their success’ in the ‘marketplace’ and to ‘mature [ ‘grow’ ] their technologies’. 75% [ 1,500 ] of which have come from companies that had never previously considered working with the government. To date, In-Q-Tel ‘established strategic relationships’ with more than ‘twenty’ ( 20 ) of these ‘companies’. Read more about our ‘portfolio companies’ and ‘technology partners’, or learn how to submit a business plan to In-Q-Tel. Geospatial Information Services: [ http://web.archive.org/web/20020630223724/http://www.inqtel.com/tech/gi.html ]. – View our criteria [ http://web.archive.org/web/20020630223724/http://www.inqtel.com/submit/index.html ] for submission, and apply for consideration online. – Investment Portfolio: [ http://web.archive.org/web/20020630223724/http://www.inqtel.com/news/attachments/InQTelInvestmentPortfolio.pdf ]. INKTOMI, based in Foster City, California ( USA ), has offices elsewhere in North America, Asia and Europe. Search Solutions – comprised of general Web search and related services, and ‘enterprise’ search. Inktomi ‘develops’ and ‘markets’ network infrastructure software essential for ‘service providers’ and ‘global enterprises’. MERRILL LYNCH; INTEL: AT&T; MICROSOFT; SUN MICROSYSTEMS; HEWLETT-PACKARD; COMPAQ; DELL; NOKIA; AMERICA ONLINE ( AOL ); and, YAHOO. – David Kay, who led the search for Weapons of Mass Destruction ( WMD ) – following the 1991 U.S. Persian Gulf War – for the United Nations ( UN ) and in the George W. Bush Sr. Presidential Administration following the 2003 U.S. invasion of Iraq. In 2009, SCIENCE APPLICATIONS INTERNATIONAL CORPORATION ( SAIC ) moved corporate headquarters to Tysons Corner at 1710 SAIC Drive, McLean, Virginia ( USA ). SCIENCE APPLICATIONS INTERNATIONAL CORPORATION ( SAIC ) is a scientific, engineering and technology ‘applications company’ with numerous ‘state government clients’, ‘federal government clients’, and ‘private sector clients’. U.S. Department of Defense ( DOD ); U.S. Department of Homeland Security ( DHS ); U.S. National Security Agency ( NSA ); U.S. intelligence community ( others ); U.S. government civil agencies; and, Selected commercial markets. SAIC VENTURE CAPITAL CORPORATION; SCICOM TECHNOLOGIES NOIDA ( INDIA ); BD SYSTEMS ( BDS ); BECHTEL SAIC COMPANY LLC; BECK DISASTER RECOVERY ( BDR ); R.W. BECK; BENHAM; CLOUDSHIELD; DANET; EAGAN MCALLISTER ASSOCIATES INC.; HICKS & ASSOCIATES MEDPROTECT LLC REVEAL; SAIC-FREDERICK INC.; NATIONAL CANCER INSTITUTE ( NCI ); SAIC INTERNATIONAL SUBSIDIARIES; SAIC LIMITED ( UK ); CALANAIS ( SCOTLAND ); VAREC; APPLIED MARINE TECHNOLOGY CORPORATION; EAI CORPORATION; and, Others. In 1991, SCIENCE APPLICATIONS INTERNATIONAL CORPORATION ( SAIC ) received transference of the U.S. Department of Defense ( DOJ ), U.S. Army ( USA ), Defense Intelligence Agency ( DIA ) ‘Remote Viewing Program’ renamed STARGATE Project. In January 1999, SCIENCE APPLICATIONS INTERNATIONAL CORPORATION ( SAIC ) consultant Steven Hatfill saw SAIC vice president Joseph Soukup internally ( with no outside client ) commission ( with no outside client ) William C. Patrick – a retired leading figure in the legacy U.S. bioweapons program – see a report produced ( 28-pages on Feburary 1999 ) on terrorist anthrax attack possibilities via Unitd States postal mailings prior to 2001 anthrax attacks in the United States. In March 2001, the U.S. National Security Agency ( NSA ) had SCIENCE APPLICATIONS INTERNATIONAL CORPORATION ( SAIC ) in ‘concept definition’ phase for what later became known as the NSA TRAILBLAZER Project, a “Digital Network Intelligence” system intended to ‘analyze data’ carried across computer ‘networks’. In 2002, the U.S. National Security Agency ( NSA ) chose SCIENCE APPLICATIONS INTERNATIONAL CORPORATION ( SAIC ) to produce a ‘technology demonstration platform’ for the NSA TRAILBLAZER Project, a contract worth $280,000,000 million ( USD ). BOEING; COMPUTER SCIENCES CORPORATION ( CSC ); and, BOOZ ALLEN HAMILTON. In 2005, TRAILBLAZER – believed by speculators ( http://www.PhysOrg.Com et. al. ) to be a continuation of an earlier data mining project THINTHREAD program – saw U.S. National Security Agency ( NSA ) Director Michael Hayden inform a U.S. Senate hearing that the TRAILBLAZER program required several hundred million dollars over budget – consequently trailing years behind schedule waiting for approvals. From 2001 through 2005, SCIENCE APPLICATIONS INTERNATIONAL CORPORATION ( SAIC ) was primary contractor for the $600,000,000 million ( USD ) TRILOGY Program, a three ( 3 ) part program – intended to replace obsolete FBI computers with a then-new state-of-the-art cutting edge technology ‘secure high-speed computer network system’ that would install 500 computer network servers, 1600 scanners and thousands of desktop computers in FBI field offices – that on December 2003 delivered to the U.S. Department of Justice ( DOJ ) Federal Bureau of Investigation ( FBI ) its SAIC “Virtual Case File” ( VCF ), a $170,000,000 million ( USD ) software system designed to speed tracking of terrorists, better accurize communications amongst agents fighting criminals with this FBI ‘critical case management system’, however nineteen ( 19 ) different government managers involved 36 contract modifications averaging 1.3 FBI changes everyday totaling 399 changes during 15-months afterwhich the FBI continued arguing ( through its own intermediary, AEROSPACE CORPORATION ) changes until the U.S. Department of Justice ( DOJ ) Inspector General ( IG ) criticized its ‘FBI handling’ of SAIC software, whereon February 2005 SAIC ‘recommended’ the FBI at-least ‘begin using’ the SAIC TRILOGY VCF ‘case management system’. On September 27, 2006 during a special meeting of SCIENCE APPLICATIONS INTERNATIONAL CORPORATION ( SAIC ) stockholders, employee-owners voted by a margin of 86% to proceed with the initial public offering ( IPO ) whereupon completion SCIENCE APPLICATIONS INTERNATIONAL CORPORATION ( SAIC ) also paid – to existing stockholders – a ‘special dividend’ of $1,600,000,000 billion to $2,400,000,000 billion ( USD ). On October 17, 2006 SCIENCE APPLICATIONS INTERNATIONAL CORPORATION ( SAIC ) conducted an initial public offering ( IPO ) of common stock offering of 86,250,000 shares priced at $15.00 per share. Underwriters – BEAR STEARNS and MORGAN STANLEY – exercised over-allotment options resulting in 11,025,000 million shares seeing the IPO raise $1,245,000,000 billion ( USD ). SCIENCE APPLICATIONS INTERNATIONAL CORPORATION ( SAIC ) had approximately 46,000 total employees, 16,000 employees were in McLean, Virginia ( USA ) and another 5,000 employees were in San Diego, California ( USA ). SRA INTERNATIONAL INC., founded in 1978, headquartered in Fairfax, Virginia has additional U.S. offices. – Strategic Consulting; – Systems Design, Development, and Integration; – OutSourcing; and, – Operations Management. – Text mining; – Data mining; – Disaster and Contingency Response Planning; – Information Sssurance; – Environmental Strategies – Environmental Technology; – Enterprise Systems Management; and, – Wireless Integration. ArcSight, founded in May 2000, is located in the heart of Silicon Valley, California ( USA ). ArcSight is a leading supplier of enterprise software that provides the security “air traffic control system” for large, geographically dispersed organizations. These organizations are augmenting their network infrastructure with a wide variety of security devices such as firewalls, intrusion detection and identity management systems that produce a barrage of uncoordinated alarms and alerts that overwhelm the security staff. Event capture; Log aggregation; Real time correlation; Incident investigation; and, Reporting. ArcSight ‘separates’, the ‘true threats and attacks’ from the ‘millions of false alarms and non-threatening activities’ that occur each day, focusing attention and resources on high-priority problems. IN-Q-TEL; KLEINER PERKINS CAUFIELD & BYERS ( KPCB ); and, SUMITOMO CORPORATION. Attensity Corp., founded in 2000, is a privately held company with dual headquarters in Mountain View, California ( USA ) and Salt Lake City, Utah ( USA ). Attensity has developed breakthrough text extraction technology that transforms information captured in free form text into structured, relational data. Link analysis; Trending; Exception reporting; Other advanced analytics; and, Knowledge management applications. Attensity technology is the culmination of nearly a decade [ 10-years ] of research in computational linguistics. IN-Q-TEL, a strategic venture group funded by the CIA; WHIRLPOOL; and, JOHN DEERE. BROWSE3D, founded in 2000, is located in the Dulles Technology Corridor of northern Virgina. The company’s first Knowledge Management product, the Browse3D Browser, enables Internet users to browse Web sites using a dynamic, interactive, 3 dimensional ( 3-D ) display environment. One year later [ 2001 ] the Browse3D Browser was recognized as the Best Internet Software of 2001 at the COMDEX Fall Technology Show ( Las Vegas, Nevada, USA ). Browse3D launched its ‘consumer product’ in January 2002. For the past 2-years [ since 2000 ], Browse3D has been working to re-invent the online researcher’s tool set. A researcher’s ability to ‘harvest relevant online data’ is often limited by the tools available to view that data. Future products and technologies promise additional improvements in the way users ‘find’, ‘organize’, ‘save’ and ‘exchange’ web-based ‘content’. Candera Incorporated, founded in 2000, is a development stage stealth mode company headquartered in Milpitas, California ( USA ). Candera Inc. is developing a new generation, purpose built, network based storage management platform that gives businesses unprecedented ‘control over’ and ‘visibility into’ their networked storage environments. With the Candera Confluence solution, businesses can dramatically improve the utilization of their existing heterogeneous storage assets by consolidating them into a centrally managed storage pool. These can then be quickly and dynamically allocated to meet the needs of current and future network based applications, giving large enterprises a strategic advantage. Candera is building the first [ 1st ] system, of a new generation of systems, that will enable customers to unleash the ultimate value of networked information storage. Convera RetrievalWare is a high-performance intelligent search system that allows broad flexibility and scalability for implementation across corporate intranets and extranets, enabling users to index and search a wide range of distributed information resources, including text files, HTML, XML, over 200 proprietary document formats, relational database tables, document management systems and groupware repositories. Convera RetrievalWare excels in distributed client environments and server environments with hundreds or thousands of users, documents, images and / or multiple media assets. Advanced search capabilities include concept and keyword searching, pattern searching and query by example. Convera is a leading provider of enterprise mission-critical ‘search’, ‘retrieval’ and ‘categorizing’ solutions. Portals; Knowledge management; Intelligence gathering; Profiling; Corporate policy compliance; Regulatory compliance; Customer service; and, More. Decru, founded in April 2001, is headquartered in Redwood City, California ( USA ). Decru solves the problem of secure data storage with a robust, wire-speed encryption appliance that fits transparently into any SAN or NAS storage environment, protecting data from both internal and external threats. Markets include essentially any organization with a need to protect proprietary or confidential information ( e.g. government, technology, financial services, health care ). IN-Q-TEL; NEA; GREYLOCK; and, BENCHMARK. GRAVITON, founded in 1999, is located in La Jolla, California, USA. Solomon Trujillo, former head of U.S. WEST ( baby bell telephone company ), leads GRAVITRON. Machine to Machine Communications ( M2M ). GRAVITON is developing an advanced integrated wireless sensor platform uniquely optimized for large-scale distributed sensor network applications working with Micro Electro Mechanical Systems ( MEMS ) sensor and spread spectrum wireless technologies licensed exclusively to GRAVITON from the U.S. National Laboratory at Oakridge ( also known as ) Oakridge National Laboratory ( Tennessee, USA ) – managed by the U.S. Department of Energy ( DOE ). GRAVITON products and solutions integrate wireless, sensor and data management technology enabling enterprises to efficiently and transparently monitor, control, send, receive, and update system information from devices anywhere in the world. IN-Q-TEL; GLOBAL CROSSING; ROYAL DUTCH SHELL ( oil / petroleum ); MITSUI; SIEMENS; QUALCOM; OMRON; MOTOROLA; and, SUN MICROSYSTEMS. KLEINER PERKINS CAUFIELD & BYERS ( KPCB ); and, EARLYBIRD. INTELLISEEK, founded in 1997, has since 1998 been changing the way organizations ‘understand’, ‘gather’ and ‘use’ enterprise ‘intelligence’. INTELLISEEK ‘knowledge discovery tools’ [ as of: 2002 ] enable the nation’s largest enterprises with up-to-the-minute consumer, industry information and ‘competitive intelligence’. INTELLISEEK ‘Enterprise Search Server’™ ( ESS ) search platform provides a suite of intelligent applications that automate ‘knowledge discovery’ and ‘knowledge aggregation’ from hundreds of disparate, and often hard-to-locate data sources. INTELLISEEK ‘Knowledge Management’ and ‘Search and Discovery’ solutions solve the fundamental problem of “information overload” by identifying and searching relevant, targeted and personalized content from the internet, intranets and extranets. FORD MOTOR COMPANY ( FOMOCO ); NOKIA; and, PROCTOR AND GAMBLE. IN-Q-TEL; FORD VENTURES; RIVER CITIES CAPITAL; GENERAL ATLANTIC PARTNERS LLC; FLAT IRON PARTNERS; BLUE CHIP VENTURE COMPANY; NOKIA VENTURES; and, Other private investors. MetaCarta, established in 1999, was launched on more than $1,000,000 million in funding from the U.S. Department Of Defense ( DOD ) Defense Advanced Projects Agency ( DARPA ) and private investors. MetaCarta CEO John Frank, with a doctorate from the Massachusets Institute Of Technology ( MIT ) where during 1999 – as a Hertz Fellow in physics working on a PhD – conceived a new way to view – geographically – ‘collections of text’ that later saw MetaCarta combine his interests in algorithms, information design, and scientific models of real world phenomena. Metacarta provides a new knowledge management platform that integrates ‘text data with geography’ providing a ‘cohesive system’ for ‘problem solving’. METACARTA Geographic Text Search ( GTS ) appliance, the software solution, redefines how people interact with information, enabling analysts to view text reports and geographic information in one ( 1 ) logical view through integration of text and geography delivering new information not obtainable from any other source. MetaCarta CEO John Frank graduated from Yale University. MOHOMINE, founded in 1999, is privately-held and located in San Diego, California, USA. MOHOMINE technology has been deployed by United States national security organizations. MOHOMINE mohoClassifier for National Security Organizations ™ reviews ‘text information’ in ‘cables’, ‘e-mails’, ‘system files’, ‘intranets’, ‘extranets’ and ‘internet’ providing ‘automated document classification’, ‘routing’ – based upon ‘learn-by-example pattern recognition’ technology – and ‘reports’ on user defined properties such as ‘topic’, ‘subject’, ‘tone’ ( ‘urgent’, plus others ), ‘author’, ‘source’ ( geographic locations, ‘country’, etc. ), and more. MOHOMINE mohoClassifier users can easily set up ‘filters’ to automatically ‘identify’ and ‘prioritize’ ( ‘read first’ requirement ) documents that are quickly processed – out-of large volumes of other data – and then quickly route prioritized information to quickly reach the proper people. CITICORP; WELLS FARGO; INTEL; TEXAS INSTRUMENTS; PFIZER; BOEING; ORACLE; PEOPLESOFT; and, NIKE. IN-Q-TEL; HAMILTON APEX TECHNOLOGY VENTURES; and, WINDWARD VENTURES. QYNERGY CORP., founded in 2001, is located in Albuquerque, New Mexico. QYNERGY technology originated at the U.S. National Laboratory at Sandia ( also known as ) Sandia National Laboratories ( New Mexico, USA ) and at the University of New Mexico ( New Mexico, USA ). QYNERGY Corp. develops leading-edge energy solutions based on QYNERGY proprietary QynCell ™ technology that made an exciting breakthrough – over other ‘battery’ or ‘portable energy’ devices – in ‘materials science’ allowing QYNERGY to possess several unique competitive advantages. Micro Electro Mechanical Systems ( MEMS ); MicroPower™ applications; Small microelectronics; and, Power-on-a-chip applications. SAFEWEB, established in April 2000, is based in Emeryville, California, USA. SAFEWEB built the world’s largest ‘online privacy network’, however in 2001 its ‘free online service’ was ‘concluded’ – to focus on developing its ‘enterprise’ product. SAFEWEB is a leading provider of innovative security and privacy technologies that are effective, economical and simple. SAFEWEB Secure Extranet Appliance ( SEA ), the first [ 1st ] SAFEWEB enterprise security release – reduces the cost and complexity traditionally involved in securing corporate network resources. SAFEWEB Secure Extranet Appliance ( SEA ), named Tsunami, is a fundamental ‘redesign of extranet architecture’ integrating disparate technologies into a ‘modular plug-in network appliance’ ( SEA Tsunami). SAFEWEB SEA Tsunami is an ‘all-in-one solution’ simplifying implementation of ‘extranets’ and ‘Virtual Private Networks’ ( VPN ) reducing Total Cost of Ownership ( TCO ) by innovative architecture letting companies build – in less than 1-hour – ‘secure extranets’ providing ‘remote stationed’ enablement of ‘employees’, ‘clients’ and ‘partners’ to access ‘internal applications’ and ‘secure data’ from anywhere using a standard internet website browser. SAFEWEB delivers, through established strategic partnerships, customized versions of its Secure Extranet Appliance ( SEA ) Tsunami technology to U.S. intelligence [ CIA, etc. ] and communications agencies [ NSA, etc. ]. IN-Q-TEL; CHILTON INVESTMENTS; and, KINGDON CAPITAL. In 1999, PURPLE YOGI was founded by former INTEL Microcomputer Research Laboratory scientists Ramana Venkata and Ramesh Subramonian. PURPLE YOGI, became known as STRATIFY INCORPORATED ( a privately-held company ). In early 2001, ORACLE CORPORATION veteran and senior executive Nimish Mehta became president and chief executive officer ( CEO ). STRATIFY INC., headquartered in Mountain View, California ( USA ), is [ 2002 ] the ‘emerging’ leader in ‘unstructured data management’ software. STRATIFY Discovery System is a ‘complete enterprise software platform’ helping todays [ 2002 ] organizations ‘harness vast information overload’ by ‘automating the process’ of ‘organizing’, ‘classifying’ and ‘presenting’ business-critical unstructured information usually found in ‘documents’, ‘presentations’ and internet website pages. STRATIFY Discovery System platform ‘transforms unstructured internal and external data’ into ‘immediately accessible relevant information’ automatically organizing millions of documents displayed in easy navigational hierarchy. INLUMEN and INFOSYS TECHNOLOGIES LIMITED, named in 2001 as one ( 1 ) of The Red Herring 100. IN-Q-TEL; H & Q AT INDIA (also known as ) H & Q ASIA PACIFIC; SOFTBANK VENTURE CAPITAL ( now known as ) MOBIUS VENTURE CAPITAL; SKYBLAZE VENTURES LLC; and, INTEL CAPITAL. SYSTEMS RESEARCH & DEVELOPMENT ( SRD ), founded in 1983, develops software applications to combat fraud, theft, and collusion. SYSTEMS RESEARCH & DEVELOPMENT NORA software is designed to identify correlations across vast amounts of structured data, from hundreds or thousands of data sources, in near real-time, and alert users to potentially harmful relationships between and among people. SRD NORA software technology leverages SYSTEMS RESEARCH & DEVELOPMENT proven expertise in ‘aggregating’, ‘warehousing’ and ‘leveraging people data’ and ‘transaction data’ to strengthen corporate management and security systems. U.S. Depaartment of Defense ( DOD ); CENDANT; TARGET; MGM MIRAGE; MANDALAY BAY RESORT GROUP; and, Food Marketing Institute. TACIT, founded in 1997, is located in Palo Alto, California ( USA ) with regional sales offices in Virginia, Maryland, Pennsylvania and Illinois. David Gilmour serves as president and chief executive officer ( CEO ). TACIT Knowledge Systems is the pioneer and leader in ‘Enterprise Expertise Automation’. TACIT products ‘automatically and continuously inventories’ the ‘skills’ and ‘work focus’ of an ‘entire organization’ for ‘dynamic location’ of ‘connections to expertise needed’ – when needed to make decisions, solve problems, and serve customers. TACIT products also include its award winning flagship product KnowledgeMail™. In June 200, TACIT was voted one of the “Hot 100 Private Companies,” by Upside Magazine. In 2000 and 2001, TACIT was one ( 1 ) of the “100 Companies that Matter,” by KM World [ Knowledge Management World ]. IN-Q-TEL; JP MORGAN; CHEVRON-TEXACO ( petroleum and chemical ); UNISYS; HEWLETT-PACKARD; NORTHROP-GRUMAN ( aerospace & defense ); and, ELI LILLY ( pharmaceuticals ). IN-Q-TEL; DRAPER FISHER JURVETSON; REUTERS GREENHOUSE FUND; and, ALTA PARTNERS. TRACTION SOFTWARE, founded in 1996, is located in Providence, Rhode Island ( USA ). TRACTION® Software is the leader in ‘Enterprise Weblog’ software, bringing together working ‘communications’, ‘knowledge management’, ‘content management’, ‘collaboration’, and the ‘writable intranet portal’. TRACTION TeamPage™ product addresses the need for ‘unified on-demand view’ of ‘team content’ and ‘team communication’ from ‘all document sources’ in ‘context’ and over ‘time’. TRACTION TeamPage deploys quickly and easily on an existing network and delivers a ‘capstone communication system’ by turning ‘e-mail’ and ‘web browser’ into powerful tools for end-users. TeamPage targets ‘program teams’ and ‘product management teams’ in ‘government’ and ‘business’. Tracking Exception Process and Reporting Exception Process. IN-Q-TEL; SLATER CENTER FOR INTERACTIVE TECHNOLOGY; and, private investors. ZAPLET INC., founded in 1999, is located in Redwood Shores, California ( USA ). ZAPLET INC. is an enterprise software and services company and creator of the Zaplet Appmail System™ collaboration software that brings application functionality directly to a user’s inbox to complete business processes. ZAPLET INC. Appmail, using a server-based platform, combines power, ‘centralized control’ and ‘robust security’ for traditional enterprise application systems with the convenience and ease-of-use of e-mail. ZAPLET Appmail in-box becomes the gateway to a protected server where the application functionality and data securely reside. Manage and Streamline mission-critical business processes; Requires no additional client-side upgrades; and, Instantly expandable for work teams ‘beyond’ the ‘enterprise’. Red Herring 100; Enterprise Outlook – Investors’ Choice; and, Internet Outlook – Investors’ Choice. Finance; Telecommunication; High technologies; and, Government. KLEINER PERKINS CAUFIELD & BYERS ( KPCB ); ACCENTURE TECHNOLOGY VENTURES; QUESTMARK PARTNERS L.P.; RESEARCH IN MOTION LIMITED ( RIM ); INTEGRAL CAPITAL PARTNERS; ORACLE CORPORATION; CISCO SYSTEMS INC.; and, NOVELL INC.
“Information Technology Trends And Their Impact On CIA,” January 1999, declassified report of the U.S. Central Intelligence Agency by, CIA Chief Information Officer.